Check-in time: normally accommodations are ready for a 4:00pm check-in. However no key or access to any condominium will be provided until the condominium has been properly cleaned and inspected. Check-out time is 10:00am. Late check-out must be approved by management prior to 10:00am check-out time, and an additional charge will be applied to late checkouts. RiverStone Resort makes every effort to accommodate every guest request; however RiverStone Resort does reserve the right to move guest(s) to a condominium that is comparable to the condominium of original reservation. A guest must be at least 21 years of age to reserve and check-into a condominium. Any guest checking into a condominium must stay and remain in control of the condominium and must not turn control over to others. If a reservation is made by or for a guest under the age of 21 without an Adult 21 or over in the party, and the Resort was not made aware of this at the time the reservation was made, RiverStone Resort will not guarantee accommodations at check-in. The Adult 21 or older guest who checks in must remain present and in control of the condominium. There is no smoking allowed in any of the Condominiums and or/ the balconies. If any guest is observed smoking in the condominiums or on any of the balconies there is a $200.00 fee. RiverStone Resort does have a limited number of pet friendly units available. The resort must be made aware of a pet prior to the guest checking in. RiverStone Resort only accepts Dogs. There is a 2 dog limit and each dog can only weigh up to 15 pounds each. We do have a $25.00 a day per pet fee. Guest must also allow the reservationists to pre-authorize $100.00 damage deposit on a credit card, and the damage deposit will not be refunded should housekeeping find any excessive cleaning or other damages from to the pet’s stay before or after check-out. Any guest found with a pet in a non-pet friendly unit will be evicted immediately and given no refund. In addition, if a guest is found to have a pet in a non-pet friendly unit they will be charged a $200.00 fee. NO EXCEPTIONS! Condominium owners at RiverStone Resort are very specific in their instructions to us regarding pets. We cannot over-ride their wishes. 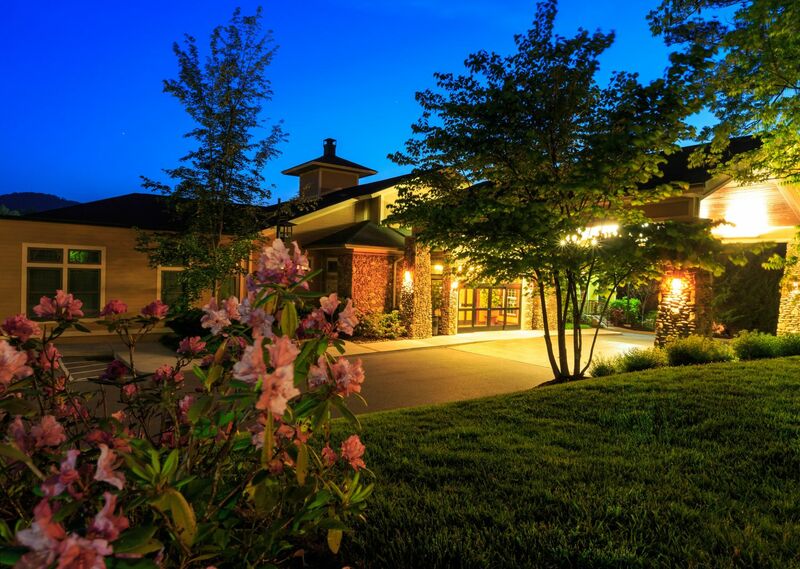 RiverStone Resort will not tolerate disruptive or illegal behavior or activities from any guest(s); RiverStone Resort does reserve the right to ask any guest to vacate the property due to disruptive or illegal behavior or activities. Any guest asked to leave because of disruptive or illegal behavior or activities will forfeit any monies paid and will not be given any refunds. A washer and Dryer are provided in every unit for the convenience of our guest(s) to freshen their linens and towels. We can provide daily maid or linen service upon request for a minimal additional daily charge. Due to damages that may occur to the jets in the whirlpool tubs we ask that the guest(s) do not use any bath oil products in the tubs. Make sure the water is covering the jets before you turn them on. Please follow all rules and regulations posted at the Pool and Fitness Center areas. Children under the age of 14 must have Adult supervision while in the swimming pool area. Absolutely no one under the age of 14 is permitted in the fitness center area at any time. Do not place any Soap or Oil products in the hot tub or swimming pools at any time. Any damages or excessive cleaning fee will be charged to the person observed misusing these areas. Should anyone be found in violation of the maximum number allowed by this policy, extra charges will be applied and the parties will be asked to vacate. At time of check-in guest(s) will be provided with parking passes, and these parking passes must be displayed in the vehicle at all times while parked on the RiverStone Resort Property. Any visitors are required to stop at the front office for a parking pass. Any vehicle found on the RiverStone Resort Property without a proper parking pass will be towed at the vehicle owner’s expense. RiverStone Resort is not responsible for any damages done, or losses of any kind, involving any vehicles parked on the RiverStone Resort property. Guests assume full responsibility for any property damage or loss that may result during their stay in a RiverStone Resort condominium. All of the condominiums are inspected and inventoried before and after each stay. If any damages or losses occur during a guest’s stay, such damages must be reported to the front desk immediately. Guests should make themselves familiar with the proper use of any items in the condominiums (i.e. Appliances, Whirlpool Hot Tub, etc.). RiverStone Resort and/or the Condominium Owners are not responsible for any of guest’s personal items lost or left in the condominiums, or on the RiverStone Resort Property.